For a studio that, in its heyday, brought to the screens some of the most beloved animation films of our time, Disney have been struggling in recent years to emerge from the shadow Pixar, their powerhouse sibling, cast upon them. Their recent efforts, however, have displayed a huge amount of promise, with Tangled in particular worth honourable mention. But it’s their latest, the enchanting and extremely entertaining Frozen, that proves Disney’s classic formula can be adjusted to incorporate contemporary values. After a horrific childhood accident that sees Elsa (Idina Menzel) accidentally strike Anna (Kristen Bell) with her magical powers, Elsa disappears into exile. When Elsa emerges years later for her coronation, Anna hopes change is afoot. Unfortunately, as the stress of keeping her powers under control push her to the limit, Elsa explodes, casting their kingdom of Arandelle into eternal winter. It’s left to Anna to race after Elsa in a bid to return Arandelle to its former glory and save her sister from a life of evil and torment. Loosely adapted from Hans Christian Andersen fairy tale The Snow Queen, work on Frozen dates back to the early 1940s when Walt Disney himself expressed interest in bringing Anderson’s work to the silver screen. It’s with relief, then, that the finished product is as spellbinding as it is. Scripted by writer and co-director Jennifer Lee, the film has a particular darkness and sense of danger to it that’s in keeping with the source material. But it’s also tremendous fun – quick-witted and fast-paced, particularly in its second act. 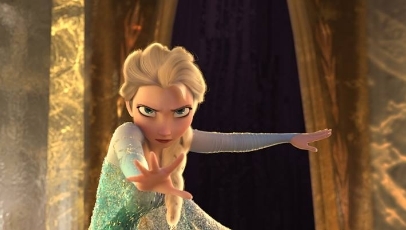 What’s more impressive, however, is the touching and honest relationship between Anna and Elsa, two headstrong yet realistically flawed sisters, that remains at Frozen’s forefront throughout, despite the love triangles and extremely funny supporting characters, such as Josh Gad’s all-singing, all-dancing snowman Olaf, that threaten to steal the show on a myriad of occasions. It’s a classic Disney story of love conquering all that’s been rightfully and cleverly subverted to fit with contemporary values. If that wasn’t enough, then Frozen furthers its appeal and emotional hold through lively, state-of-the-art animation (snow has never looked more realistic, and the way different types are used to express different emotions is truly astonishing), an excellent soundtrack filled with heartfelt songs and the combined talents of its enthusiastic voice cast and the knowledge and skill administered by its directors. It all adds up to an fantastical delight that’s packed to the rim with heart, soul, humour, depth and wonder. Bravo Disney. Nice review Jamie. No matter what, the kids will love it. Most parents will do, too, and I think that’s what matters the most as well.